We can handle the biggest and the smallest of your concrete jobs! In the area of Flesherton, Ontario, there are lots of opportunities to build and renovate. Whether you are working on installing a driveway in your own home or your team has just been hired to pour the foundation for a new structure, our team at Flesherton Concrete Products are here to help you get the concrete that you need for your next job! Because we work with jobs both big and small, you don’t have to be intimidated when you contact us about concrete needs. We help with smaller jobs like a driveway or sidewalks all the time and enjoy seeing people get good use out of the finished space. Similarly, we help with large orders of concrete on a regular basis, so you don’t need to worry that we won’t be able to keep up with your orders! We will even be available to deliver your concrete straight to your construction site for your convenience. We understand that working with concrete can be difficult due to the fact that concrete wants to harden once it is done being mixed! In fact, you only have about ten minutes per yard of concrete to get it poured and in place for hardening and curing. This is why we work constantly to be open, available, and punctual to every job site that we come to with our concrete. If you have any questions about our concrete here at Flesherton Concrete Products, would like to place an order or would like to know about our other materials and services, please give us a call today for more information! At Flesherton Concrete Products, we offer concrete to customers in Collingwood, Wasaga Beach, Flesherton, Orangeville, Owen Sound, Barrie, Stayner, Mulmur, Shelburne, and Mount Forest, Ontario. 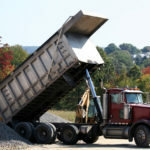 At Flesherton Concrete Products, we supply the concrete and aggregate products you need to make your project in Collingwood, Ontario a success. Call us today to learn more! Bringing quality concrete and aggregates to you! Flesherton, Collingwood, Barrie, Owen Sound, and surrounding area.